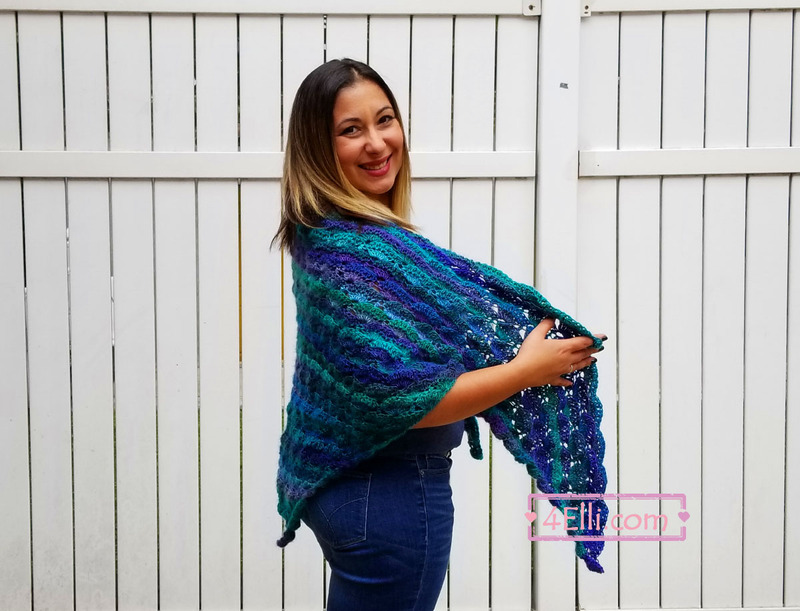 How to crochet a beautiful shawl with shell stitch!! Row 1: magic ring, chain 3, 6 dc into the ring. Row 3: chain 3, turn, (chain 3 counts as the 1st dc), 6dc into the 1st stitch, skip 2, 1dc into the next, 7 dc into the last stitch (on top of turning chain). Row 4: chain 3, turn (chain 3 counts as the 1st dc), skip the 1st stitch, 1dc in each of next 6 dc, 1sc into the next dc, 1dc in each of last 7 dc (the last dc must be on top of turning chain). Repeat rows 3 and 4 until you have the size you want. For medium size shawl i did 59 rows total. 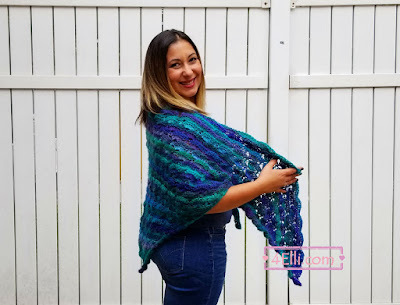 Watch my video tutorial witch shows you how to crochet this beautiful and warm shawl step by step!